Owing a spare building is good and using it to become a rental host on Airbnb is amazing. However, with Airbnb there is a need to maintain high quality and provide superior services. Frequently changing sheets, cleaning bathroom and providing clean ambiance is not easy to DIY. The fatigue of doing frequent cleaning between guests is hard to handle and can deviate your focus from the overall management. Now you can sit back and relax with Ecof Cleaners’ Airbnb cleaning services Vancouver. You can easily automatize the whole process with our Airbnb cleaners Vancouver. If you are a host and looking Airbnb suite cleaning service provider Vancouver! Then hire Airbnb suite cleaners Vancouver from and our team will take care of the entire cleaning. Our cleaning experts finish all the essential cleaning process, leaving behind only the mesmerizing experience for your guests. Use services of one of the best Airbnb cleaning companies Vancouver – Ecof Cleaners and watch your booking at full blast. Our cleaning services will ensure you and your guests remain conformable with our complete Airbnb cleaning solution. Need Airbnb Cleaning Services Vancouver? Only becoming an Airbnb host is quite enough to fill your bag with multiple responsibilities, opening with managing guest bookings and working on endless points. We understand, you definitely need services from only the best Airbnb cleaning companies Vancouver. Make yourself stress-free, Ecof Cleaners is here! After this moment stop working on any of the cleaning works and even managing cleaners. All you have to do is selecting Ecof Cleaners as your Airbnb suite cleaning service provider Vancouver. That’s all! Your part is over now our professional team is yours. They know how to play and will the cleaning game. Equipped with super professional equipment and eco-friendly products, each of our Airbnb cleaners Vancouver will further refine the wonderful experience of all your guests, which they are already going through. Your time is precious and by going with our Airbnb suite cleaners Vancouver you can manage other important works in that time. Neither booking nor managing services are heck with us. It’s a simple process and a few minutes you can get it all done. Having Airbnb hosting is just one side of the coin. The other side is managing it. And every host knows the pain of taking care of cleaning end. If you are taking cleaning in your hands then definitely you are losing on other areas. Being a host you know the importance of time management. So, take help of Ecof Cleaners, one of the renowned Airbnb cleaning companies Vancouver. Delegate the cleaning task to us and focus on the task of bringing in new guests, satisfying the residing ones or searching for a new unit. Use our Airbnb cleaners Vancouver and they will work at an incredible place making check-ins even faster. It is your own business and to stand out, you need to work only with quality Airbnb suite cleaning service provider Vancouver. At Ecof Cleaners we know the importance of cleaning and experience as well. Our experienced and trained professionals know how to handle tricky situations and last minute changes. 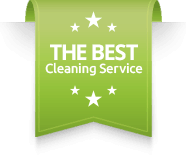 Defining the list of offering does not ensure the quality but cleaners offered in Airbnb cleaning services Vancouver do. Bring In Airbnb Suite Cleaning Service Provider Vancouver. When looking for Airbnb cleaning companies Vancouver. Few things are far more important than others. Always go for a reliable and efficient Airbnb suite cleaning service provider Vancouver. As Ecof Cleaners has years of experience in this field, we know how remaining reliable helped us and our clients. Airbnb cleaning services Vancouver is a fast-paced work. Even a slight variance in the schedule can force you to do the entire task on your own; cluttering all your processes and collapsing the entire management at the hosting point. This could result in leaving you with no time to manage bookings and thus decreasing customer satisfaction of your Airbnb hosting. To work on this, go with Airbnb suite cleaners Vancouver from Ecof Cleaners. They are in the field from a long time and have been rated high constantly, without fail. They are responsible and know their time frames properly. 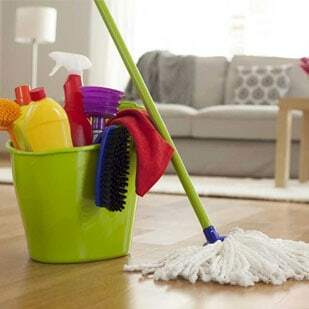 In no situation, our team members will need you to take charge of cleaning and under all circumstances will be positively on time at the given location. Thanks to their training; allowing them to handle pressure situations well. Live Life Easy With Airbnb Suite Cleaners Vancouver. At times your life as an Airbnb host can be overburdened. If you want less burden in your life, there’s one way where we can help you. Today, you have found one of the best airbnb cleaning companies Vancouver as cleaning! A small step can make you feel more relaxed and focus on your priorities as a host. By hiring Ecof Cleaners as Airbnb suite cleaning service provider Vancouver, you’re confirming it’s not just the nominal cleaning, it’s “Airbnb standard’ cleaning. You can get to know our performance from our other clients as well. With our Airbnb cleaning services Vancouver you get properly equipped and specialized Airbnb cleaners Vancouver, able to handle even the quirkiest and messiest situations with ease. To give an extra edge, all Airbnb suite cleaners Vancouver comes bonded and insured securing you from the mishaps that might happen while doing the task. People think that it’s obvious that hiring professionals will bring extra topic – cost! But that is a wrong notion. In real case, we bring more advantages than the cost. As you are good at handling and Ecof Cleaners at handling dirt, so let’s work on our strengths and prosper together. Manage Hosting With Airbnb Cleaning Companies Vancouver. We perform every task that is needed to do makeover cleaning! Like other Airbnb cleaning companies Vancouver, we don’t take cleaning as a regular task. We perform it seriously and with the aim to give the best. All the Airbnb suite cleaners Vancouver provided by Ecof Cleaners posses’ enormous experience in Airbnb cleaning and have all the required insights about it. Ecof Cleaners want that the host should remain focused on guests and business expansion. To tackle the dirt & messy work, hire us as Airbnb suite cleaning service provider Vancouver. If you want to manage to host well then saving time is the key. By allowing us to take over cleaning tasks, you can easily manage your Airbnb. There is no need to waste time on hiring individuals and giving the required training each time you hire a new one. Hiring from Ecof cleaners means that you are getting only the trained and skilled cleaning professionals. Even the smallest of the task is done with perfection and doesn’t require your attention. Deciding on cleaning the cleaning options is no more a reason to worry just message us and we will take charge to clean you Airbnb. Eliminate Suffering From Airbnb Cleaning Services Vancouver. You should not take the risk when it comes to cleaning your Airbnb. Think precisely and consider before opting for DIY. We understand that ultimately all choice regarding Airbnb cleaning companies Vancouver is yours’ and we can’t do much in that. But what we can do is provide you with the best and Airbnb cleaning services Vancouver and offers the amazing experience of cleaning. Ecof Cleaners work with guaranteed services and take care that you feel no hindrance while getting served with our Airbnb suite cleaners Vancouver. Your service is our task and satisfying you with it is our aim. Therefore we call all the Airbnb hosts to choose Ecof Cleaners as your Airbnb suite cleaning service provider Vancouver. This is just a small request. We hope you will think about this and we will soon have some query from your side. Whatever you decide, remember all this is for the benefit of your Airbnb and its guests. Lean more about Pros & Cons of DIY vs Hiring Outside, simply follow the link. 1. What Is The Best Option For Airbnb Cleaning Service In Vancouver? A. There are only a few eminent players for cleaning services in Vancouver city but Ecof Cleaners is the best and doesn’t charge much and provide services always on-time, as per the schedule. 2. Are There Any Speedy Airbnb Cleaning Service In Vancouver? A. Ecof Cleaners are into this from long and knows the importance of time in Airbnb cleaning in city Vancouver as they get-in & out on time repeatedly, with no delay. 3. Is There Any Professional Airbnb Cleaning Service In Vancouver? A. Yes, Ecof Cleaners provide professional cleaning services in Vancouver because they have well-maintained equipment and skilled individuals taking care of sheets, cleaning trash etc. quickly in between guests. I am an Airbnb host and know high cleaning standards for it. To ensure that with my hosting people get the best, I rely on Ecof Cleaners’ Airbnb cleaning service.